December 14th in Wordpress Tips by Wordpress Jedi . I have been a fan of Elegant Themes service for months now. The first time I saw their service, I thought they were out of their mind. After all, you don’t offer all your premium themes with unlimited licenses for free for only $20 a year. But that’s what they have done, and it has helped them become of the most popular premium WordPress theme services around. Elegant Themes have gone under lots of changes over the years, but the most impressive of them all is the new back-end that has been introduced to make managing these themes easier. The back-end used to be simple and straight forward. But it didn’t offer too many customization features. The new back-end lets you change a whole lot of things in your theme without having to write a single line of code. By default thumbnail images are created using custom fields. However, if you would rather use the images that are already in your post for your thumbnail (and bypass using custom fields) you can activate this option. 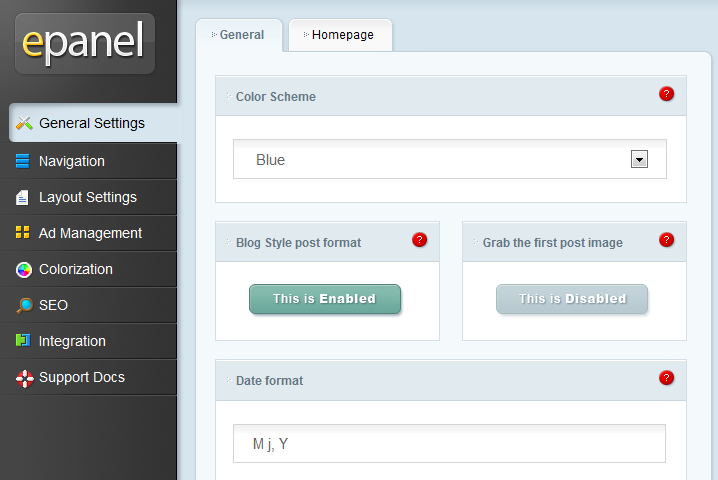 I also like the fact that you can choose what pages or categories to show or not show on your blog. So you won’t have to mess with your blog’s code. All you have to do is check the items you don’t want to see displayed on your blog. Customizing your layout is easy as well as you can pick and choose how you want your information to be displayed on your blog. 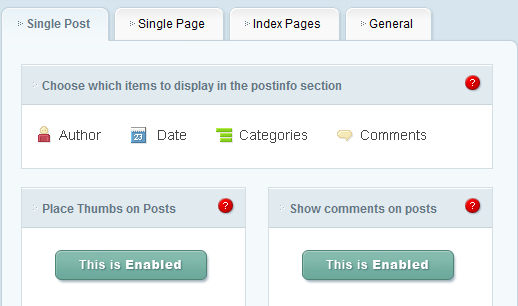 You can also disable thumbnails if you don’t like having them on your blog. What’s unique about Elegant Themes is the fact that you can change the color and look and feel of your blog easily without having to write too much code. 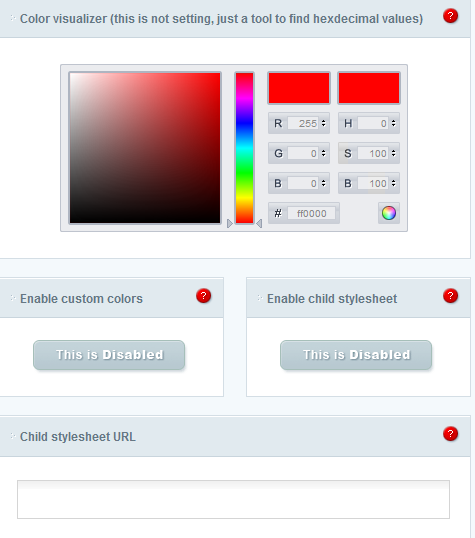 If you know any CSS, you can easily override the initial settings of your theme to make it look as you like. 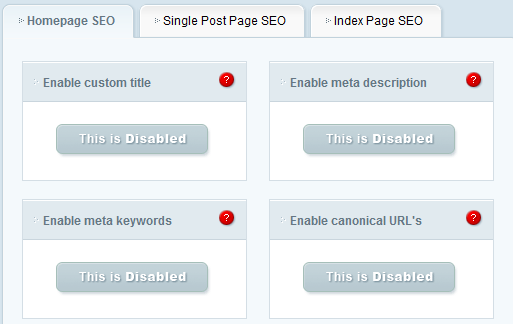 The search engine optimization features included with these themes are impressive as well. You get to optimize your pages for search engines without relying on plugins. That’s useful for fairly slow websites. I would still use plugins such as All-in-One SEO, but this theme does have the tools to help you optimize your pages fast. All in all, Elegant Themes products are designed for people who do not want to get their hands too dirty with the code. If you are a pro coder, you can still use these features to save time. But for people who don’t know anything about coding, Elegant Themes makes things much easier to manage. Elegant Themes membership site is a good case study for theme developers as well. There are plenty of things one can learn from the way that membership is run. Who said theme development is all about the looks?